The agent portal, aka FIRST, was in desperate need of an overhaul. 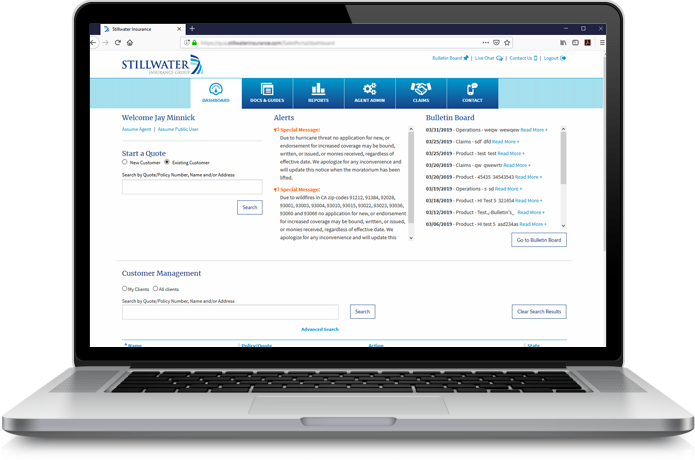 In conducting a cursory competitive audit, it was readily apparent that the Stillwater agent portal was behind its main competitors from a UI perspective. 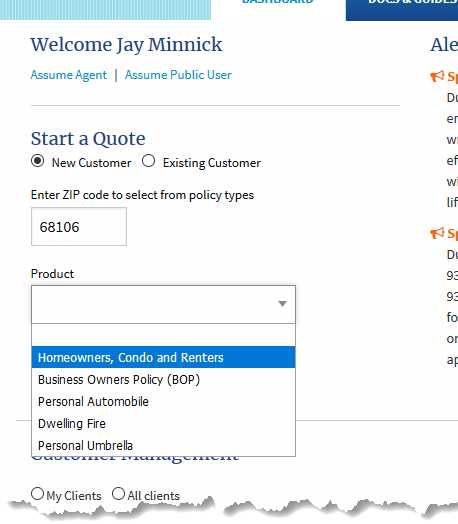 Common pain-point for agents is the Search feature whereby they have to select the search criteria first (Name, Policy/Quote Number, Zip Code) then enter corresponding search inquiry. The solution I arrived at based on input from agents and product owner along with some low-fi usability testing was to break content into navigation tabs and incorporate standard utility navigation with key functions such as live chat, contact us, and logout. 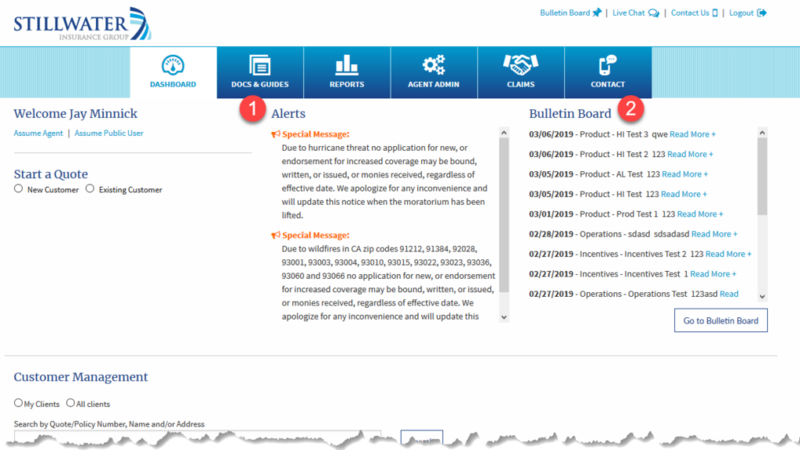 The alerts section was a feature requested by the agents. 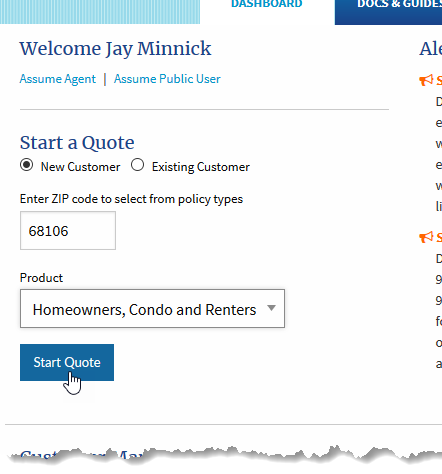 The idea is that the agent would be able to see alerts specific to their market displayed on the dashboard. 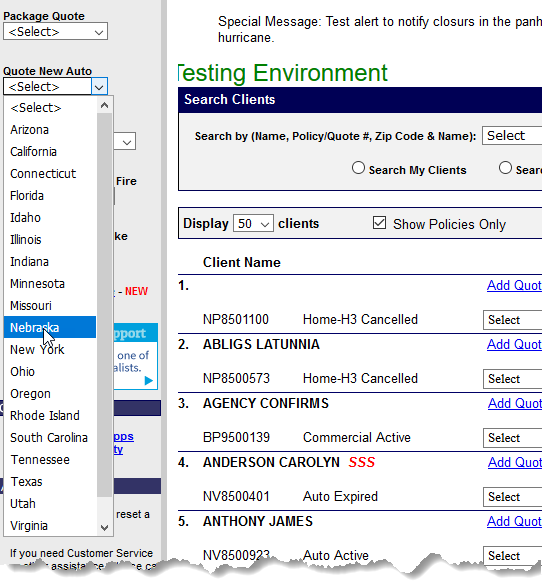 Alerts typically include prohibition on policies being written in certain zip codes due to natural events, i.e. 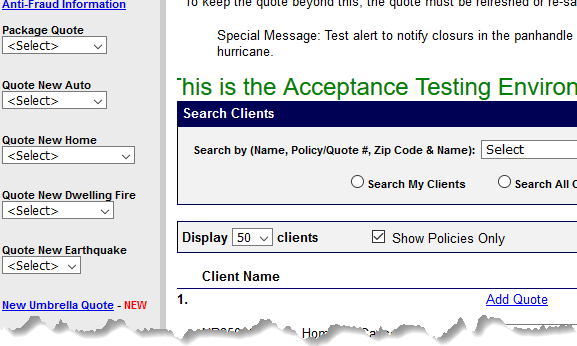 hurricanes, wildfires, etc., or other pertinent notifications. 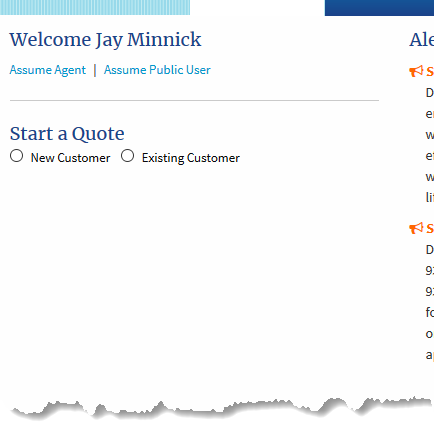 Previously, agents received alerts only via email – and ALL agents received alerts regardless of their market. 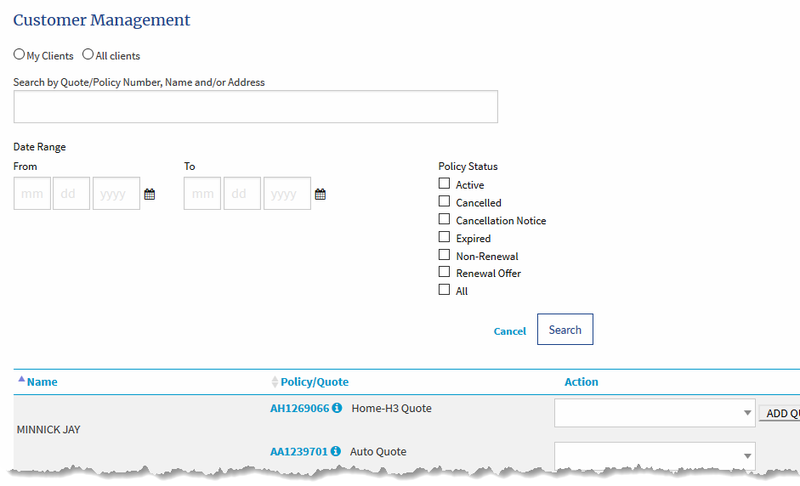 There are frequent changes to insurance products and coverage details. These changes have to be documented and provided to the agents. 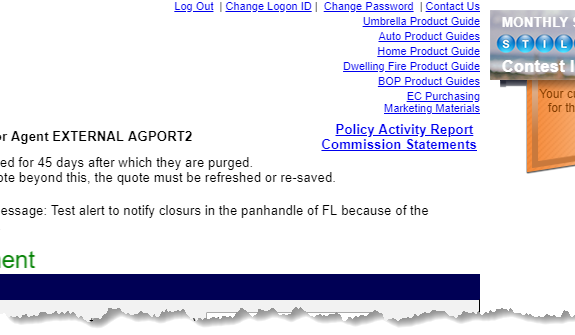 Before the redesign, the agents would receive these product updates via email, typically with .pdf attached file. 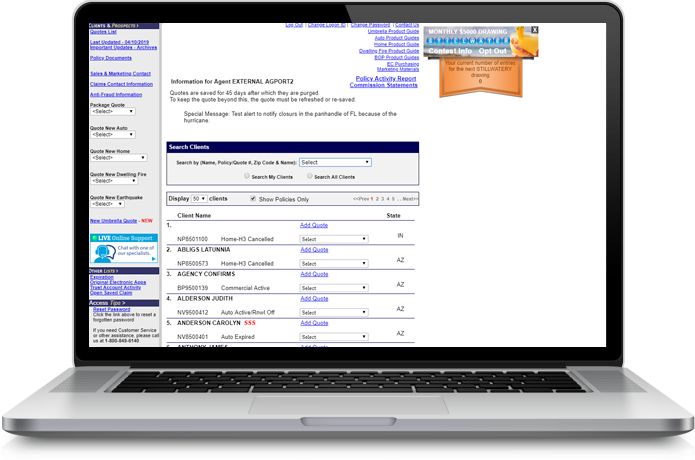 Additionally, the business required a repository – covering three years – of bulletins to be available to the agent. 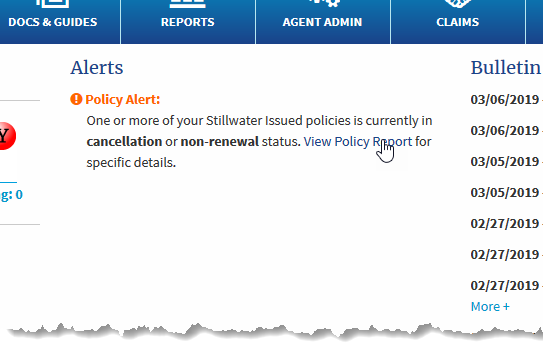 Agent is notified that one or more of his/her policies is currently in cancellation or non-renewal status and Policy Report link is provided.